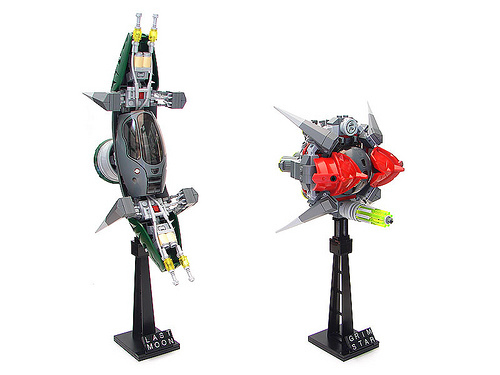 These are my two latest spaceships: the Last Moon and the Grim Star. While the creations are inspired by the moon and star, the models are built to showcase their unique printed windshield. These are being auctioned as part of Creations for Charity.